Petoholics Anonymous / Happy 100th-Post Day! 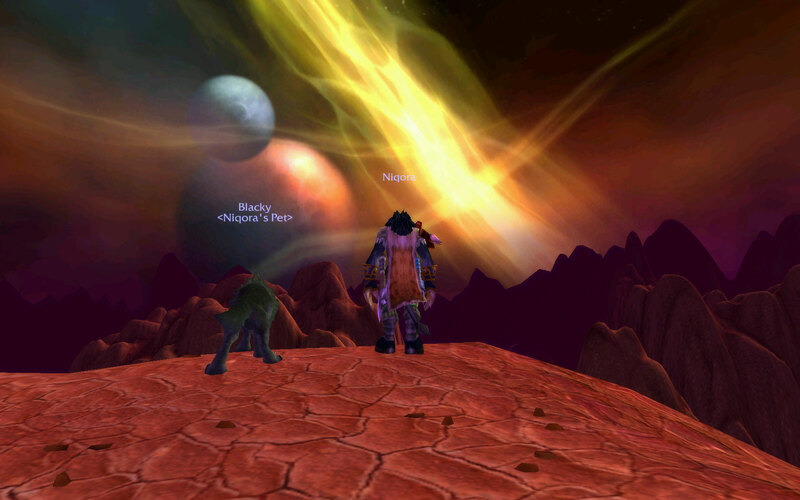 If 100 posts wasn’t good enough…Niqora has reached level 60! This is the farthest I have ever gotten a character. Having played this game for oh, a year and a half, it may not seem that impressive. Considering my busy schedule and rampant altitis, I’m pretty proud of myself. To make things even better, Niqora met up her friend Bursthoof and he accompanied her for her first time through the Dark Portal. We look so tiny standing before it. 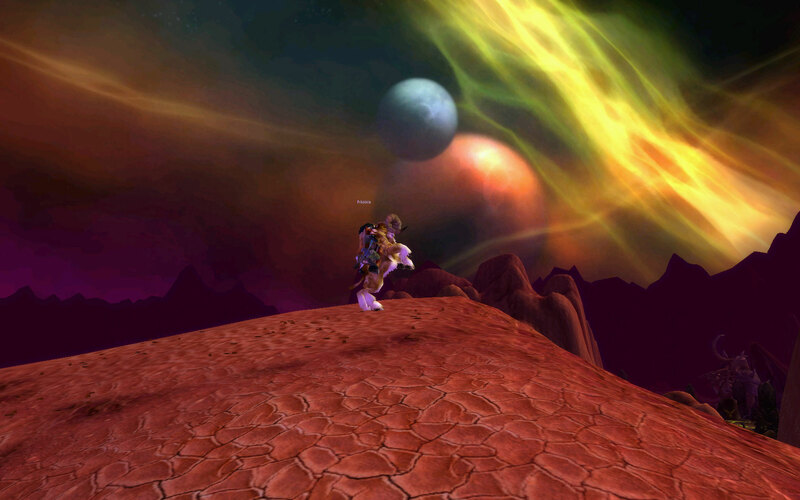 To some players, the Outland is a place of phat lewt and other goodies. Loot is nice and all…but what I’m looking forward to is exploring a new vast area, doing interesting quests, and of course being able to own my own flying mount. A whole new world awaits us, Blacky. Comments closed — Trackbacks closed RSS 2.0 feed for these comments This entry (permalink) was posted on Sunday, May 11, 2008, at 6:53 pm by Faeldray. Filed in Random Thoughts and tagged Niqora. Softi’s last blog post…RL Screenshot! 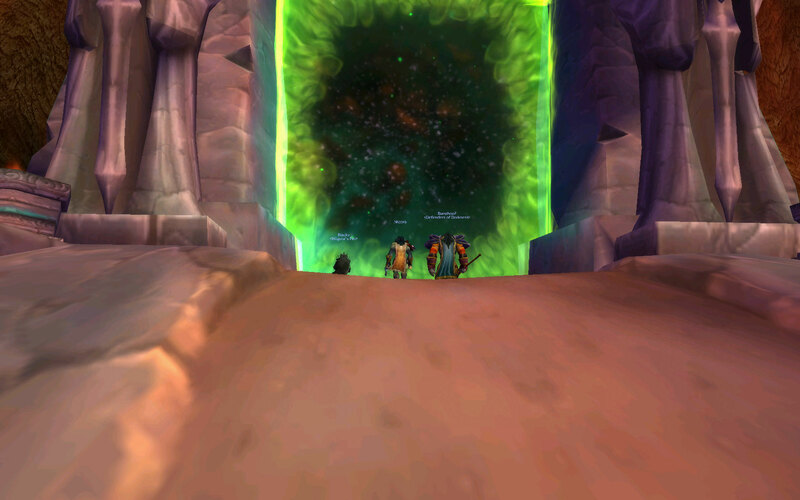 Congrats on both level 60 and 100 post on your blog, enjoy the outlands. I couldn’t think of more deserving news to celebrate your 100th post! Grats to you, Niqora, and Blacky! Congrats!!!! Here’s looking to the next 100!